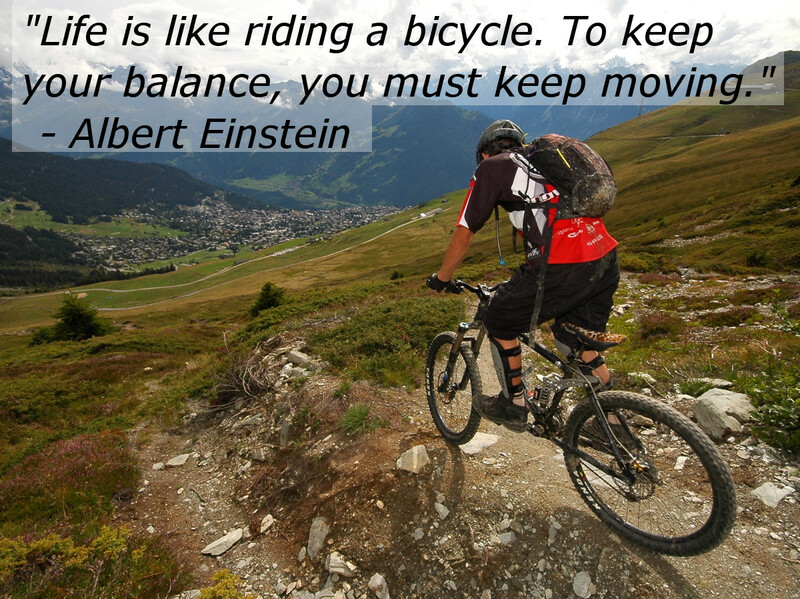 This is a great quote by Albert Einstein and is more than a simple explanation of the physics of riding a bike. Riding a bicycle can be used as an analogy to how to best live life, especially when you come across obstacles in your life. To keep your balance on a bike, is the same as keeping your head up in life and always open to new possibilities, regardless of how tough things may sometimes be. So always remember to view life as riding a bike, and always keep moving and striving for whatever you want in life!